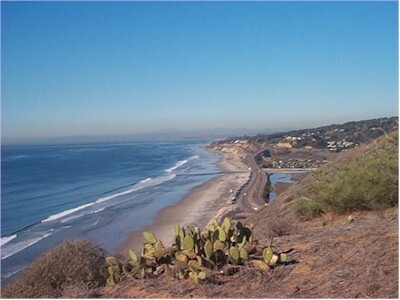 .Today I took a little walk along the Guy Fleming Trail in Torrey Pines State Park during the latter part of my lunch hour. For most of the time, I was parked in my usual place, shown here, grading papers for one of my chemistry classes. It's not a bad place to sit and grade papers. The walk did me lots of good. I don't mind the fact that I didn't quite finish my grading.